Complete with Table Top Tripod. 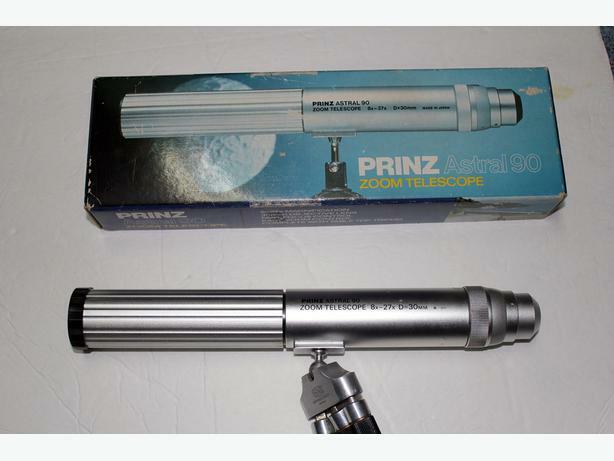 The telescope is silver in colour and measures 12.5inches long and 1.5 inches wide. Looks in good condition!! There are a few surface scratches, Box slighty worn and tatty on sides and corners due to age.